It has now been just over two months since our new oven was installed and I have been happily rediscovering all manner of dishes that used to be in regular rotation in my kitchen. Almond crescents, baked vegetables, grilled cheese on toast – even a roast chicken despite the warm Brisbane summer. Making these old favourites has been a bit like hanging out with old friends: trading remember-when’s invokes a comfortable familiarity as you remember all over again just how much you love them. 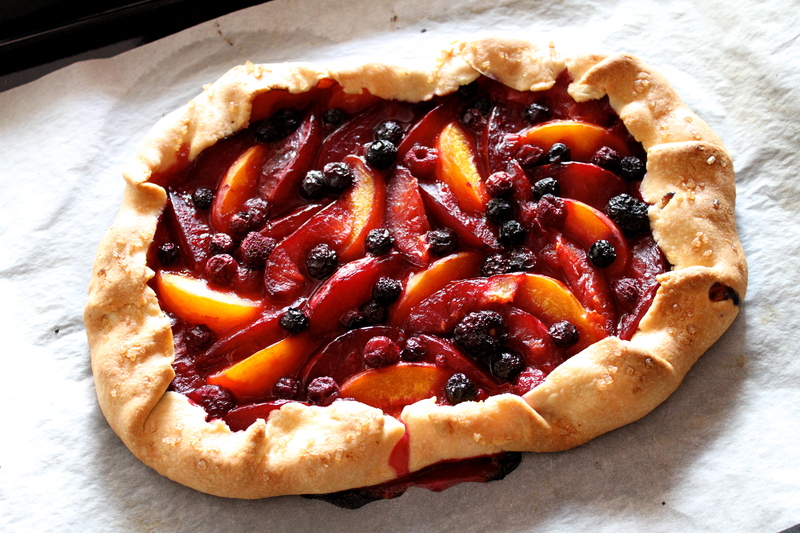 I made this tart many times when we lived in New Zealand, mostly in autumn and mostly with apples. The last time I made it was shortly before we left New Zealand, so it must have been late March 2011. I remember that it was Ann’s birthday and I decided to make an apple tart to take along as my contribution to her potluck dinner party. By that stage our preparations for leaving the country were in full swing and we had emptied the house of all but our most necessary belongings. While I still had Nana’s old food processor in the cupboard, the rolling pin had gone – probably as part of the bulk lot of kitchenware that we sold on Trade Me. It wasn’t until I was ready to roll out my pastry dough that I remembered this small detail…fortunately, a clean beer bottle made an acceptable substitute. That’s kiwi ingenuity for you. Last weekend we had some good friends over for lunch and I wanted something simple and summery to round out lunch before we headed to the California Design exhibition at the Queensland Art Gallery. This lovely light tart seemed like the perfect option. 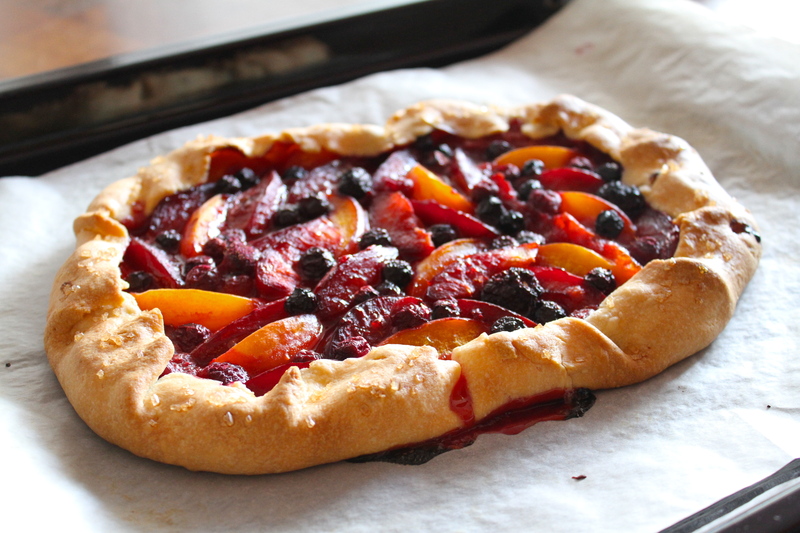 It gave me an excuse to see how the oven handled pastry, and we had some apricots and plums hanging about that were threatening to become overripe. The full quantity of shortcrust pastry makes enough for 8 servings, so for our lunch of four I only used half the quantity, stowing the other half in the freezer to use at a later time. The recipe produces a delicately crisp and buttery crust, and it comes together in about five minutes if you use a food processor. You could use the pastry to line a pie dish I suppose, but I rather like the rustic, freeform version and therefore that is what I always do. In the past I have sometimes applied a layer of frangipane under the fruit for an added dimension of flavour, but most of the time I find that fruit alone is sufficient, provided it is ripe and flavourful. A scattering of raw sugar over the top never hurts, and is particularly important if you use stone fruit which tends to become more acidic as it bakes. The finished version always looks like you’ve gone to a lot of trouble, but honestly, it’s such a simple recipe. 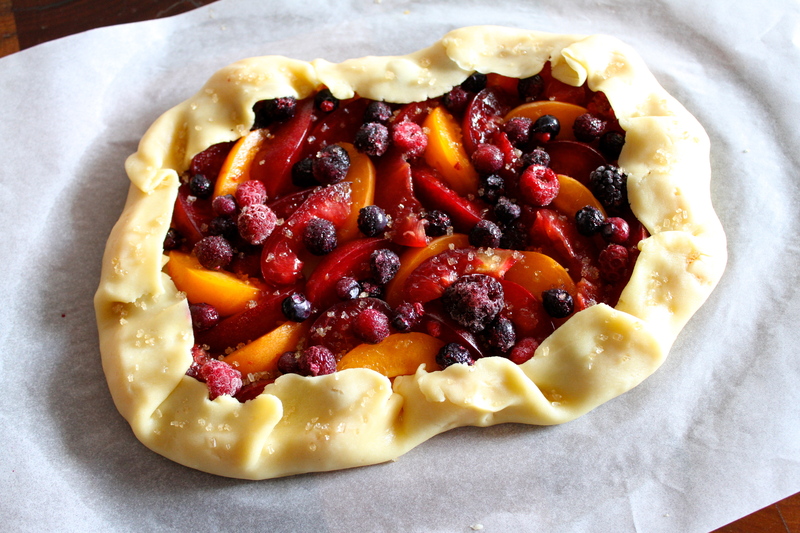 If you have pastry hanging out in your freezer, it’s as simple as roll the thawed pastry, scatter the fruit and sugar, gather up the pastry edges, and slide it into the oven. Beautiful. Combine the flour, sugar and salt in the bowl of a food processor and pulse briefly to mix together. Add the cubed butter and pulse until the mixture looks like big, coarse breadcrumbs. Combine the iced water and vinegar in a small bowl. With the food processor running, slowly add the water-vinegar mixture, stopping as soon as the pastry starts to form large clumps. Remove the lid, take a small handful and squeeze – if it holds together without being sticky it is perfect. If it is still too dry, add a little more iced water. Tip the pastry onto a clean bench or board and gather the shreds gently together into a ball, then flatten into a disk about the size of a saucer. Place the pastry on a sheet of plastic wrap and wrap it tightly, using the plastic to help smooth out any cracks. Chill in the fridge for at least two hours. Preheat the oven to 200°C/390°F. Wash and slice your chosen fruit and set to one side. Take the pastry out of the fridge. If you only intend to use half the pastry, cut it in two at this point, re-wrapping one half and stowing it in the freezer where it will be perfectly happy for up to a month (thaw slowly in the fridge overnight before using). Roll out the pastry to the thickness of your liking – about 2mm thick produces a delicate, crisp crust, but by all means go for a thicker, more toothsome crust if you prefer. 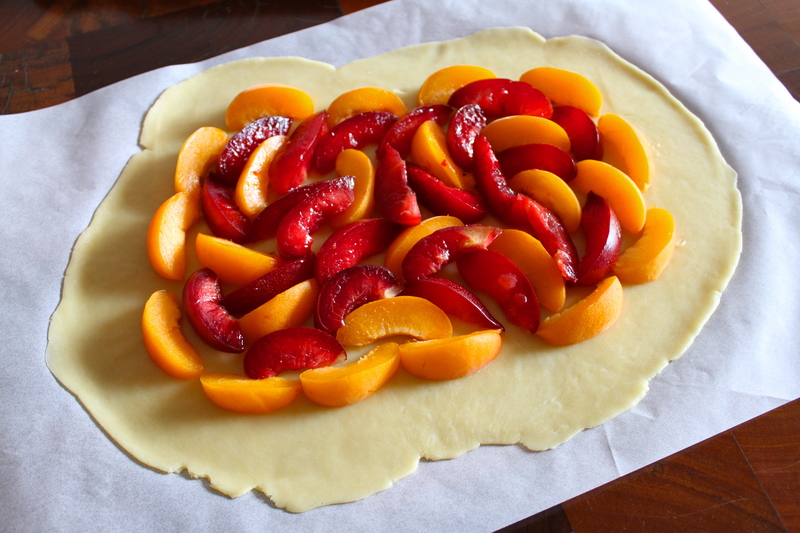 Scatter roughly or artfully arrange the fruit, leaving about an inch and a half of pastry around the outer edge. I could have done with a couple more plums to fill in the gaps of my tart, but a handful of frozen berries ended up doing the job nicely. Sprinkle the fruit with raw sugar using your judgement: sweet apples should need a light dusting only, while stone fruit benefits from more. Fold over the edges of the pastry and sprinkle a little more sugar along the edges. Slide into the oven and bake for about 30-40 minutes or until the pastry is golden brown. Let the tart cool a little and serve it warm or at room temperature with a liberal dusting of icing sugar, and decadent creme fraiche if you so desire. Pingback: What is a Sugar Plum? | What? How? Wonder. Thanks for paying a return visit! Your quinoa crust tart looks like a great recipe. I’m into quinoa in a big way right now, so I will have to give it a try. Cheers!